It has been a while, hasn't it? Like, a month! But, you know, life demanded attention and a lot of stuff fell by the wayside. As a result, by the end of most days I was just too exhausted to even knit. For me, that's pretty darn tired because I'm usually never too tired to knit! But alas, I was. Quite honestly though, I'm glad for the mini-break because I was starting to feel a little burnt out when it came to all things knitting (and that included social media). 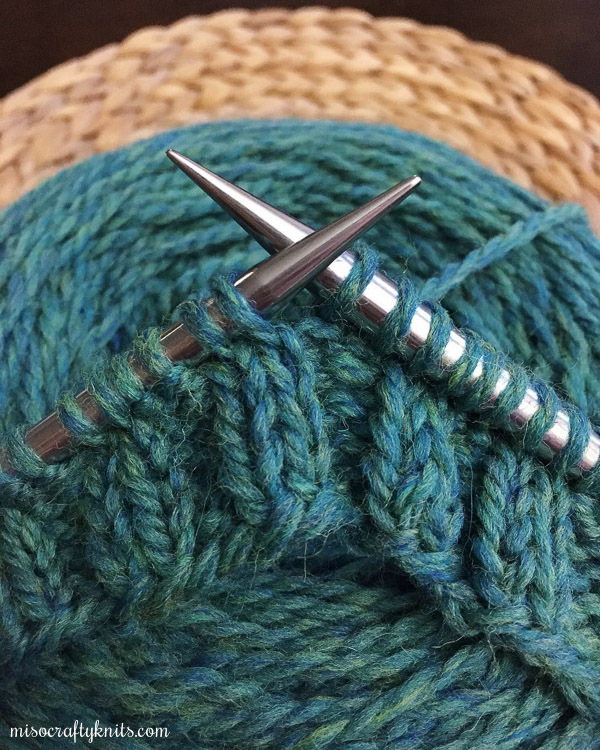 I didn't realize I was feeling burnt out until I read Amy's post about how she was feeling tired of knitting too. I thought I was losing my knitty mojo but I knew in the back of my head there was more to it than that. It sort of relieved me to know that someone else "in the game" was feeling this way too and it sort of gave me permission to go easy on myself for not wanting to be all about knitting all the time. ➳ The Kiddo just had his two-week Spring Break. Trust me when I say that two weeks is a long time. Especially when you didn't plan a single thing - no camps, no days away, no adventures. Both mine and the Mister's work schedules just didn't allow it. The Kiddo is old enough to entertain himself and doesn't need me to supervise him 24/7, so I really can't say I was busy, busy, busy for those entire two weeks, so much so that I couldn't get anything done. No, I'll admit that I never got anything done because I decided to be lazy for those two weeks. Also, I never turned down his requests to play a board game. If anything, I was the one hounding him just as much. Anything to get him off the electronic devices, if only for a little bit! ➳ I thought I would take the chance to use Spring Break as an opportunity and somewhat as a deadline to "Bang Out a Carbeth". Yeah...that didn't happen. I got as far as getting halfway through the body before I decided to give my hands a break and simply because of the aforementioned knitting burn out. ➳ Now that Spring Break is over, the Kiddo is back in school, and my work schedule seems sort of stable for the rest of the month, I'm feeling eager to get cracking on Carbeth. If I haven't fallen asleep on the couch by 9pm, the Mister and I have been throwing on some Bob's Burgers on Netflix and I've been getting in a few rounds here and there...before we both fall asleep on the couch. ➳ I've made the final executive decision to STOP accepting custom project bag orders, especially in situations in which the customer purchases and then ships me the fabric. After a span of several months for a handful of customers, it was getting WAY too stressful for me when I had no control over both time and the postal systems. Maybe it's because I live on an island, maybe it's Canada Post, either way, packages took way too long to get to me (even when they were coming from only a few hours away up island!) and it was even more nerve-wracking when packages left my hands and took way too long to arrive (and one time got lost). I learned that just because you PAY for express shipping, it doesn't necessarily mean you'll GET express shipping. Same goes for tracking. Just because you pay for it, it doesn't always mean you'll know where that package is. In the end, the custom project bags with customer fabric was just too time-consuming and costly. ➳ I've also made the decision to STOP accepting custom project bag orders that involve me trying to find the fabric(s) in a theme a customer is looking for. The fabric store options in my area are extremely limited and again, placing online orders take time. I won't even get into the demands for fabrics that are no longer in print (and the threats of "going to another maker that wants the business")! I guess I'm just too thin-skinned for custom work. ➳ For those asking, I have not finished my Wanderers Mukluks. After frogging the whole she-bang and successfully finishing one Mukluk, I decided to take a break. Mostly because a part of me is insanely worried that by breaking the yarn to rearrange the colour sequence, I may have shorted myself on yardage needed for the other Mukluk. So now I'm in avoidance mode. Don't judge. ➳ I finished The Weekender pullover but have yet to block it. I thought maybe Spring Break would've been the perfect time to do so but then discovered that with the Kiddo home full-time I simply lacked the space. Also, I lost the momentum of getting it done when I discovered just how warm my workplaces were and that such woolly goodness would leave me in a state of all-day sweat-a-thon and I would possibly suffer from heat exhaustion. Yet as my work gets warmer, I'm finding my house AND outside is still just as cold as it was in the winter months. So there's still time to block this bad boy and still get some decent wear out of it before the warm weather gets here (if it ever does!). ➳ On the sock knitting front, well, it's been slow going. My hand just hasn't been loving the combo of tiny yarn on tiny needles lately, so the lack of sock knitting isn't fully by choice. I haven't touched Pixel Rise since forever and had only touched my stripey, plain vanilla socks here and there while out and about. I have yet to even finished the first sock! I think that's it, for now. What have you been knitting on lately? i love to do these type of work but for the minimum time and am not able to do still i have all the stuff that i need to make all these thing i have all the thinks available and your all blogs very helpful to me to create new ideas and design images.